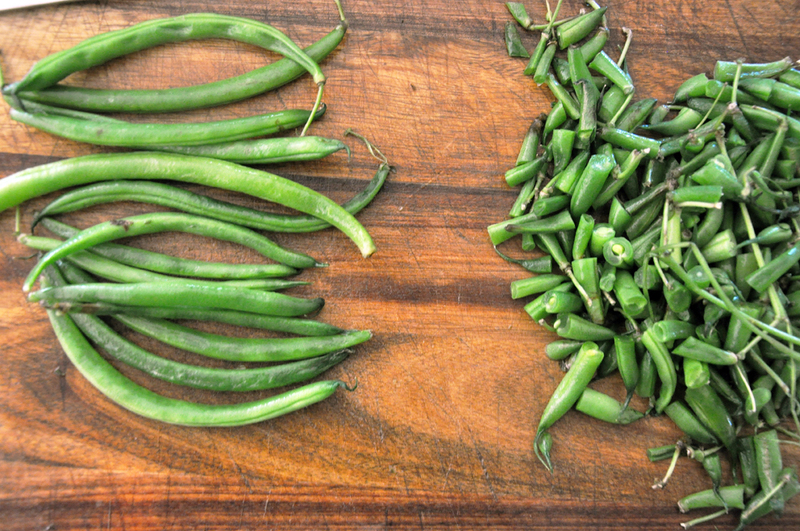 The easiest way to trim green beans is to line up a group and trim one side, then turn around the trim the other...repeat, repeat, repeat. 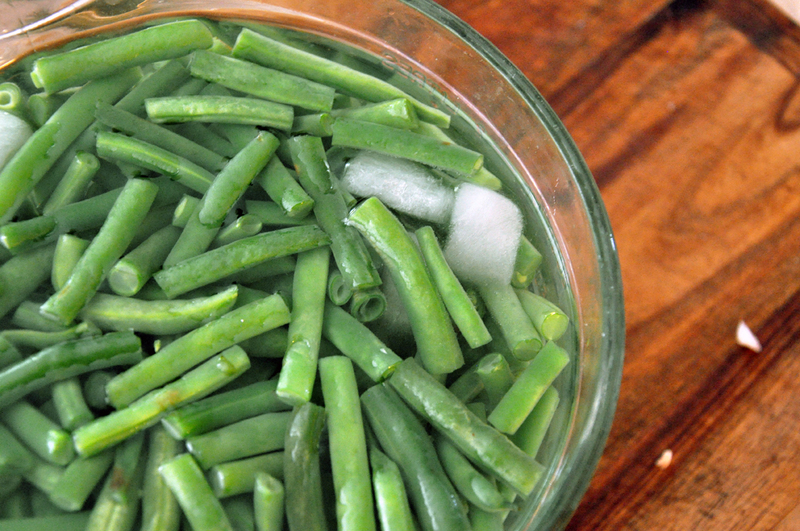 The ice bath will keep your beans crispy and bright - not like the soggy, fuggly ones you get in a can. 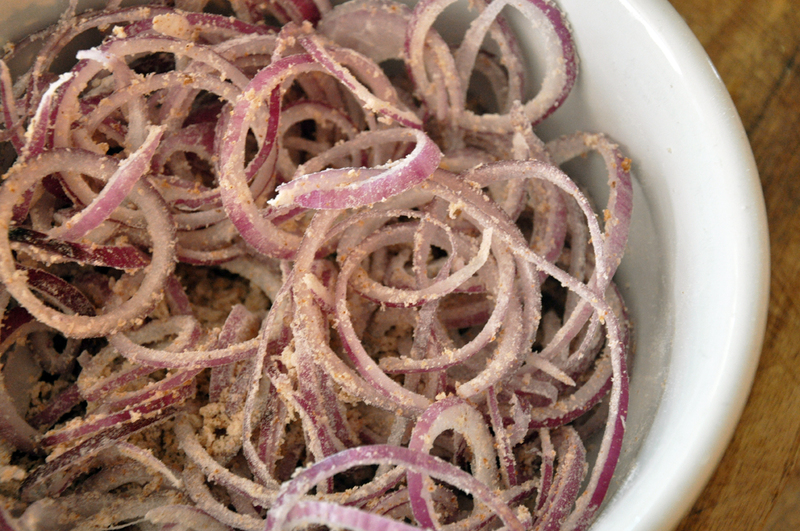 Toss onion slices with flour in a small bowl. In a medium skillet, heat 1 Tbsp EVOO over medium heat. Fry half the onions until lightly browned and remove to a plate lined with a paper towel. Repeat with remaining onions. When finished, set aside. Fill a large pot with water and 1 Tbsp salt. Heat over medium-high heat until boiling and add green beans. Cook 3 minutes, drain and plunge into an ice bath to halt the cooking. Drain, rinse with cold water and set aside. In a large skillet, heat butter over medium heat. Add mushrooms and cook 5 minutes, until most of the liquid has evaporated. Add garlic, black pepper, thyme and remaining 1/2 tsp salt. Cook 3 minutes more and remove from heat. 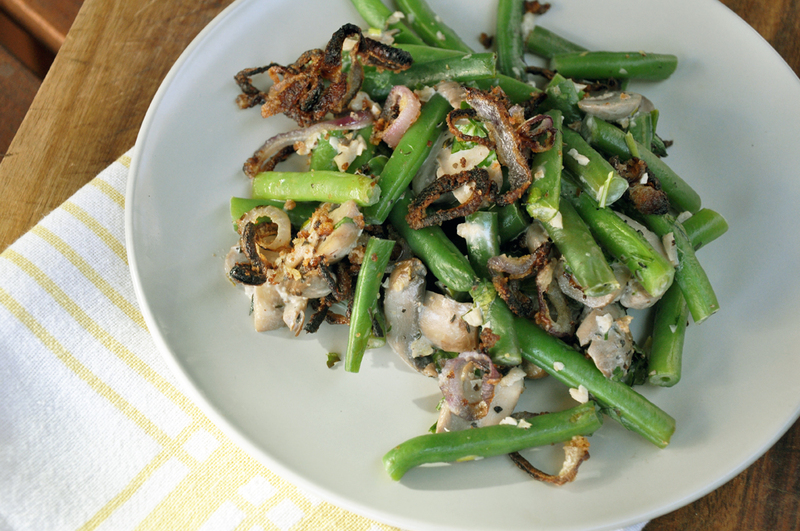 Stir in sour cream, parsley and green beans until combined. 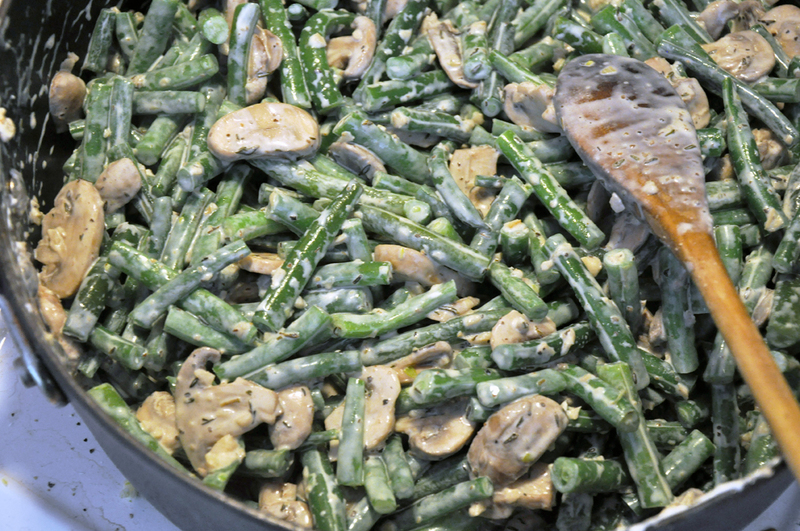 Spoon mushroom-green bean mixture into a 2-Qt casserole dish. Top with fried onions and bake 15 minutes until heated thoroughly. Serve hot.